Published: Sept. 17, 2014 at 07:33 p.m. 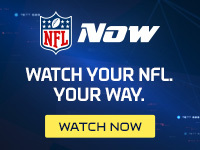 Updated: Sept. 17, 2014 at 09:41 p.m.
After missing last week's game with a nerve injury in his throwing shoulder, Carson Palmer opened this week by acknowledging there is no timetable for his return. Arizona Cardinals coach Bruce Arians revealed Wednesday that backup Drew Stanton is on track to start versus the San Francisco 49ers on Sunday. "It hasn't changed today," Arians said, via the San Jose Mercury News. "We'll be status quo with Drew as the starter, Logan (Thomas) as the backup and we'll still be waiting on Carson." Palmer remains hopeful of playing, even if progress remains slow. "I wish I had a concrete answer or somebody knew exactly what to do to wake it up, but that's not known," Palmer said Wednesday, via the team's official website. "It's just time. The only answer is time, and I'm hoping it doesn't take any more time." Appearing on SiriusXM NFL Radio on Tuesday, Arians conceded that Palmer's return "could be a day, could be a month." If the nerve doesn't start firing in the next day or two, it will be Stanton under center against Jim Harbaugh's squad.